Last night, a unique opportunity was presented to me. 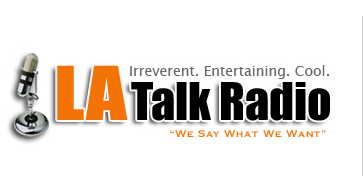 Thanks to Collin Pelton, G and I were invited to be guests on LA’s top-rated Talk Radio show – The Sheena Metal Experience. With 30 minutes to spare, I peeled off my jammies (it had been a long day), ran a comb through my hair and hustled down Ventura to LA Talk Radio’s Studio. I’ve been following Sheena for quite a while. She’s a huge supporter of artists, and of indie film. I knew that TLAU and ITF would be right up her alley, but I had never been able to get on the show. Until last night. Lunch, Collin. Soon. Sheena is an astute and seasoned professional. She’s a quadruple threat: literary chops, loves music, theatre background, cinemaphile… she’s sharp and intelligent, and ultimately down-to-earth. She has a directness to her, she gets straight to business. Although she originally hails from the East Coast, she’s got a bit of that Plains Pioneer feel to her… but rather than flinty, she exudes warmth. She’s a great gal. Here’s a link to last night’s show (scroll down to Wednesday, November 14). It’s a two-hour part; hour one had Eddie Deezen, Sherry Mattson and others discussed Sherry’s new short I Love You, Eddie Deezen. HRH came in at around minute 73; G mosied on in at about 85:45. We chatted about screenwriting, TLAU, ITF and adventures in indie filmmaking. Sheena, I bow to you. You are, in my estimation, awesomeballs. This entry was posted in Today's Blog, Uncategorized and tagged Eddie Deezen, Indie Film, LA Talk Radio, Sheena Metal, writing. Bookmark the permalink. I enjoyed this SO much. I also downloaded it, and don’t know how to find it in my computer. How?? Mom, it depends on where your downloads are directed. Have Chris show you where Finder is. Probably it is located in Finder>your hard drive name > Users > Marilyn > Downloads. Yes. You just saw me do this. Everyone say hi to Mom.